Hey guys! I have another look for you today! This one is inspired by cotton candy! And I wanted to add a little more glam so of coarse, I added glitter! It is just a really simple trick that I have picked up to add a bit extra to your look and to make your lipstick last 10x longer! 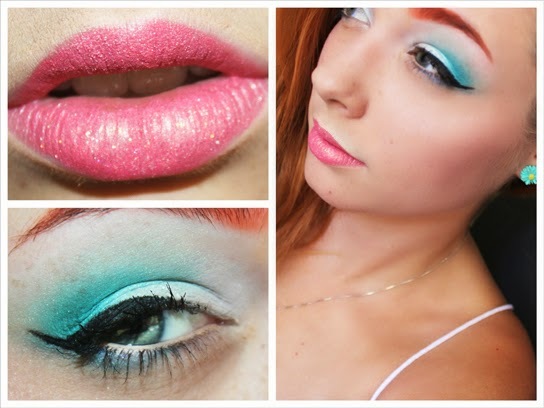 All you do is apply your lipstick, blot it and repeat a few times and then add the glitter/eyeshadow! Glitter will create a glossy finish and eyeshadow will mattify it(depending on the finish). It seriously made my lipstick last all day up until I went swimming! So it's not waterproof, but close to it and I think it is adorable! Try this technique out yourself and show me! Post a picture to my Facebook or email it to me at Kassie@Unique-Desire.com I would love to see!! Love the shadow! Great look! What a pretty makeup look! I'm not sure I'll be adding glitter to my lips anytime soon, but that's a good trick to know! 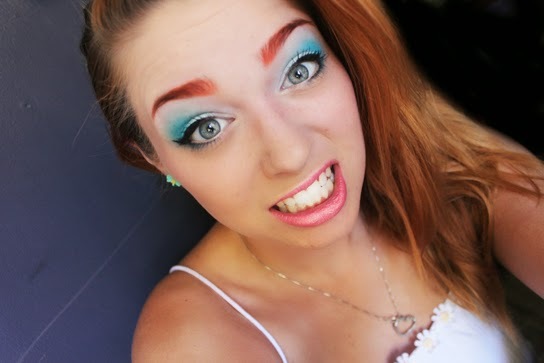 I do love your eyeshadow against your black liner such nice contrast! Life Update: Whats up with 2014? !